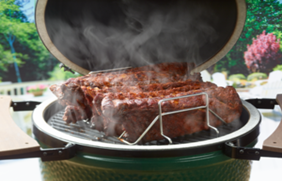 Big Green Egg is the world’s largest producer of the highest quality ceramic kamado-style charcoal grill. 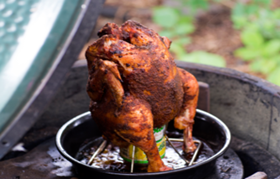 As Big Green Egg has evolved over the years, significant changes have been made to keep it miles ahead of anything else on the market, including state-of-the-art ceramics, a wide range of easily adjustable cooking temperatures, a stainless steel cooking grid and permanent porcelain glaze to preserve the signature green color. A team of research and development specialists are continuously looking for new ways to make Big Green Egg even better. The Most Versatile Cooking Device Ever . . . Is it a Grill, an Oven or a Smoker? Yes! 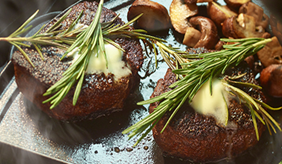 There are seven sizes of the EGG, and hundreds of accessories and related products designed to enhance the Big Green Egg cooking experience.